KATHMANDU, March 18: Political and business leaders have said that the integration among the South Asian countries is a key to attract foreign direct investment from within the region and also from the rest of the world. Speaking at various sessions held on Saturday during the 6th SAARC Business Leaders’ Conclave in the capital, they said that strengthening connectivity and trade in South Asia is a pre-requisite to achieve the objective of shared economic prosperity in the region. 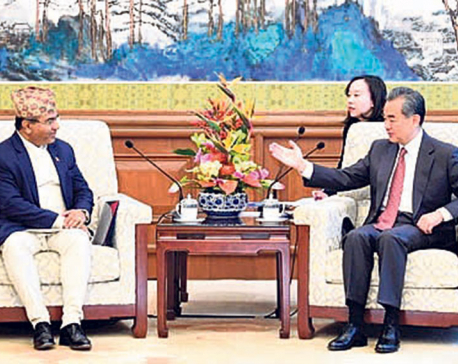 “Without a strong connectivity, we cannot move toward the direction of economic development in the region,” said Pushpa Kamal Dahal, Nepal’s former Prime Minister. “Political parties in the region should now take the command for economic prosperity,” added Dahal, who is also the chairperson of CPN (Maoist-Center), a member of the current coalition government. Salman F Rahman, a private sector development adviser to the Prime Minister of Bangladesh, said that the South Asian countries should find meaningful cooperation by rising above bilateral political differences. “Sadly, domestic political issues take precedence over the broader development, and inhibit the exploitation of the immense potential of the region toward rapid economic growth,” he added. Chandra Kumar Ghimire, secretary of the Ministry of Industry, Commerce and Supplies, said that although the SAARC nations have been endeavoring for regional integration since 1980’s, they have failed to propel regional economic prosperity. “We are not just supposed to share vulnerability and poverty, but also the prosperity within the region,” said Ghimire adding that there was a need for proper policy and action to attract foreign direct investment. Also speaking at the sessions during the conclave, diplomats urged the governments to increase dialogues to strengthen regional cooperation in a way to contribute to the shared prosperity for all members of the region. Alaina B. Teplitz, American ambassador to Nepal, said that regional integration is beneficial not only for South Asia, but for the entire world including the US. “We want to see a more stable, prosperous, and integrated South Asia; this outcome is more likely when the countries of the region are linked together though trade agreements and have greater physical infrastructure connections,” she said. Indian ambassador to Nepal Manjeev Singh Puri said that South Asia needed to learn lesson from other parts of the world where a number of countries undergoing conflict in the past have now come together to realize the economic prosperity. “There is no meaning for pointing out at each others, but all should unite to ensure peace and security along with ending terrorism,” he said. “The region could share prosperity out of the fast growing Indian economy. As the SAARC is going nowhere, the member countries are diverted towards smaller forms of integration as an alternative, such as BBIN,” he added. Citing the European Union as an example as the driving force for regional integration, Sophie Kemkhadze, deputy country director at UNDP in Nepal, said that there is a need for unleashing traditional barrier and investing in human capital in South Asia to realize all available potentials of the sub-continent. 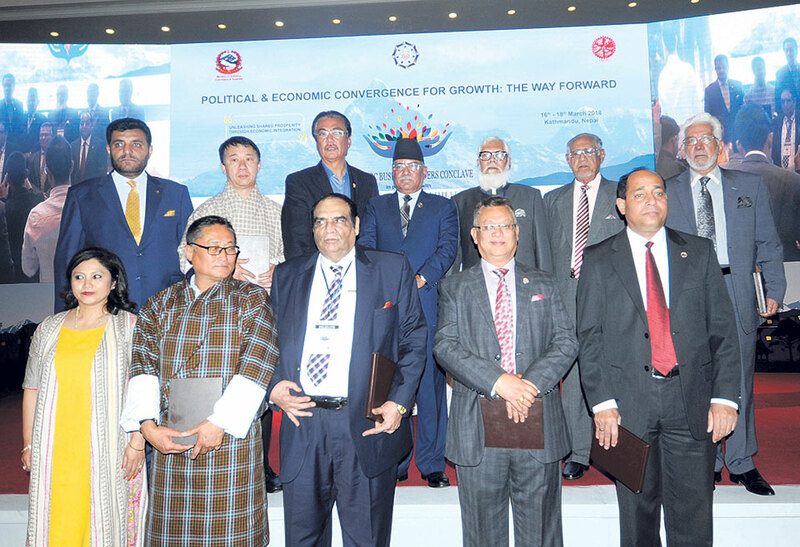 The three-day conclave that was inaugurated on Friday discusses the means of common prosperity between SAARC nations, promotion of trade and investment within SAARC nations, economic and political setbacks, and the SAARC’s role in global economy along with the development and distribution of energy in the region, according to the organizers. Around 300 delegates from across South Asia are participating in the conclave.